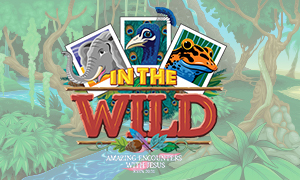 June 24-28 VBS is free and open to all children age 4-grade 5. VBS will be held at First Norfolk on Kempsville Road from 9 am-12:15 pm - Register here for the Kempsville Location VBS. VBS will be held at First Norfolk on Volvo Parkway from 6:30-8:45 pm - Register here for the Volvo Location VBS. July 29-Aug. 2 Student Camp is for all middle and high school students. Learn more about student camp here. Aug. 12-16 It's time to get on board ... We're going back to Camp Willow Run for First Baptist Norfolk Children's Camp! Camp is for children who have completed 3rd-5th grade as of June 2019. You won’t want to miss out on this wonderful week of fun! Children sleep in a real train boxcar with their Spirit Teams, experience great Bible studies, worship, water activities, sports, the RED SHARK, fun times with friends and much, much more! Let us know if you need to update your mailing address or other contact information. Fill out this form if you are interested in participating in one of our Mission Journeys. Fill out this information form if you are preparing to go on one of our Mission Journeys. Prayer support is a key ingredient for each Mission Journey. We would like you to enlist at least 10 Prayer Partners who will commit to pray for you and your team as you prepare and go on your journey. Wednesday Evening Dinner is offered at the Kempsville Road Location in the Fellowship Hall from 4:30-6 pm. Check your This Week at First handout for each week's menu. Make your reservations/cancellations by noon Wednesday. Payment required at dinner. For questions, please call the church office at 731-461-3226. Fill out this form if you are interested in starting an off-campus LIFEgroup. Request a room for a group meeting or event. 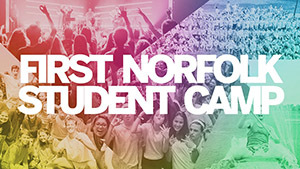 Sign up for occasional messages about what is going on at First Norfolk.